I've been a peanut butter and jelly sandwich eater for as long as I can remember, and even now, at 35-years-old, I still eat them for lunch almost every day. They make a wonderful snack too when I need to grab a tasty treat on the run. Although my love of the PB&J sandwich hasn't changed, what I use to make one definitely has. When I was younger, I used white bread and whatever peanut butter and jelly was on sale to make my sandwich. But as I've gotten older, I realize that the the food I eat and what I put in my body actually matters. That's why I'm glad that Welch's has released a brand new natural spread. 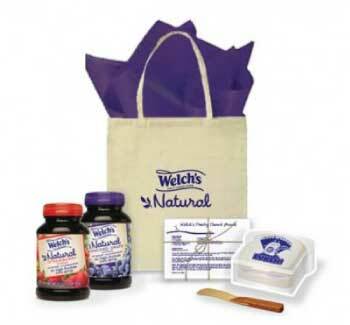 Keep reading to learn more and enter to win a Welch's Natural Spreads Recipe Kit! Now that I'm all grown up and still a connoisseur of the PB&J sandwich, I use whole wheat bread and all natural peanut butter to make my daily treat. Unfortunately, I just couldn't seem to find a natural alternative for the jelly I used. Most were loaded with sugars, high fructose corn syrup and other artificial colors and flavors. Thankfully, Welch's came to my rescue with their brand new line of Natural Spreads. The taste is phenomenal too! I've been using the concord grape flavor on my PB&J sandwiches and love it. I'm thrilled that I now have a completely healthy peanut butter and jelly sandwich. I've also used the strawberry Welch's Natural Spread on my morning toast and enjoy that variety too! If you're sick and tired of the artificial colors, flavors and preservatives in your food, then by all means, give the new Natural Spreads from Welch's a try! Visit Welch's on Facebook starting on March 19th and enter to win the Where Do You PB&J? 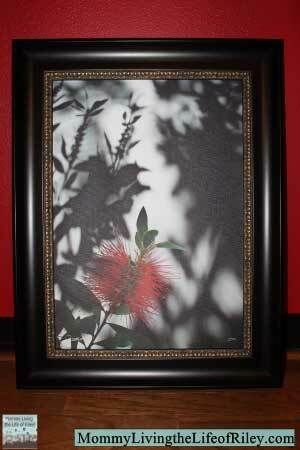 photo contest. You could win a $5,000 family vacation! To get you ready for the contest and to introduce you to the great taste of Welch's Natural Spreads, Welch's is offering a Natural Spreads Recipe Kit to one lucky Mommy Living the Life of Riley reader! Enter to win using the Rafflecopter entry form below and good luck! :good luck: The winner will be announced on April 2nd: National PB&J Day! Disclosure: I received the Welch's Natural Spreads from Welch's in order to facilitate my review. No other compensation was received. This product review is based on my own personal experiences with this item and is completely honest and objective. I have never tried them before, but I will. I always have strawberry but the raspberry sounds interesting. I have not tried any of them honestly but would love to. We eat PBJ every day! We haven’t tried them but it looks and sounds yummy! We have tried the Grape Jelly and we love it. I have not seen the strawberry or raspberry at my local store. My girls love Raspberry and we normally by Polaner All Fruit which is expensive, so I would LOVE to try the Welch’s one! 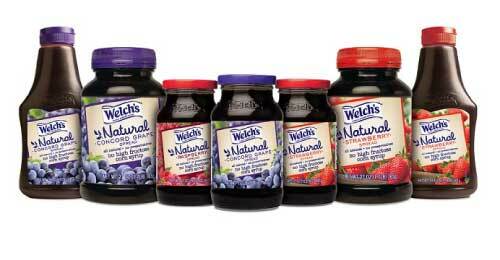 I haven’t tried Welch’s Natural Spreads yet, but look forward to it ヅ *Thanks* for the giveaway! I can’t wait to try the raspberry flavor! I’ve never tried them before, but I think they would be great for lunches. I LOVE Welchs but have not tried the natural spreads. They sound delicious! meant to say they ALL sound delicious but first on my MUST try list is the rasberry! I haven’t tried the natural fruit spreads, these sound great! I have not tried them yet but I will look for them the next time I go to the store. i believe we’ve tried the grape. we go through a lot of jelly in this house! I have not tried the naturals. We love their regular jellies though! I love the natural spreads because of my diabeties. My hubs likes them too!! We currently use the strawberry spread and my kids love it! I haven’t tried it before but I bet it is good. Have never tried any of the Welch’s Naturals Spreads. I have not tried any of the spreads but plan on picking up the Raspberry flavor on my next trip to the grocery store! I havent tried Welch’s Natural Spreads but would like to. I have not yet tried them but will. I haven’t tried the Spreads yet but would love to. I have not tried the Naturals spreads, but I would like to. I have not tried these new spreads, but am anxious to do so. My son is a big jam eater! I have not tried the Naturals spreads, but really want to. The commercial makes them look good! I have not tried the Natural Spreads yet. Love Welch’s so am excited to try them. I have not tried yet, but looking forward to! I have never tried these spreads. I haven’t tried them but I would love to! i’ve never tried Welch’s Natural Spreads before but would like to try it. I have tried the strawberry, I Love it! My husband didn’t like it as much, which just means there’s more for me! I have tried these spreads and they are very yummy! I havent tried it yet but my fav will be grape.